A few months ago, I wrote a piece about how ARG’s or Alternate Reality Games can help your learning event. 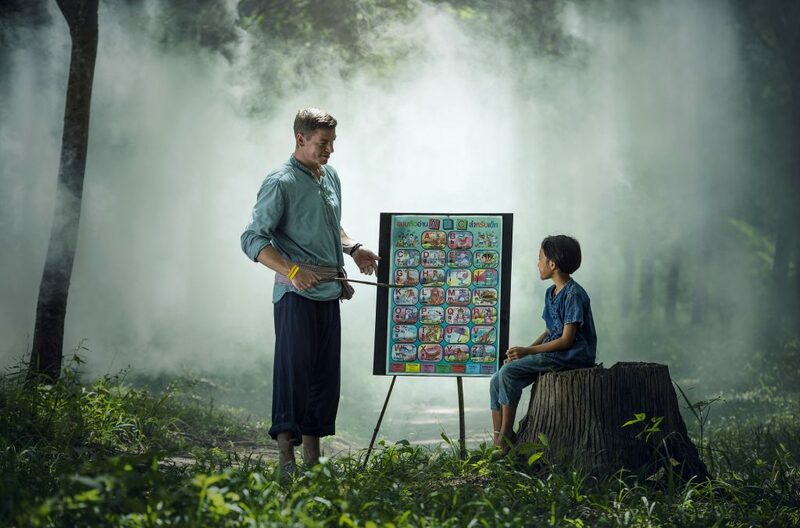 The article mostly expresses how an ARG is a much more effective long-term narrative learning tool, than live-action role-play simulations that many schools, businesses, and business schools use. However, that is not to say that role-play simulations are not effective when used correctly. Unfortunately, though, many are not designed well and not used to their full effect. Therefore, I felt that we should address this so that you can be informed about how to use them. This comes off the back of having been part of a team recently that delivered one to a client and group of 30+ people, which made me think about effective simulations can be as short-term, compressed learning tools. ARG’s are by definition and by their existence long-term endeavors, that have a deep, involved and complex narrative underpinning them. Live-action role-play simulations are very short-term, often 1 or 2-day events. This is mostly due to the teams involved in helping facilitate them, the availability of the participants and instant monetary costs for equipment and location as well. Aside from those costs and human resources, they do act in a very similar vein, in that they both create real-life game worlds for participants to enter. Role-play simulations are a type of gamification, in the broad sense that they grab a real-life activity, add certain game elements and mechanics to it to make it fun and challenging. The small difference is that these simulations are often preceded by a form of traditional learning, which involves theory, models, frameworks, etc… but use the simulation to bring them all together in a fun and instantly applicable way. As we’ve already gone through what ARG’s offer us, we’ll explore what role-play simulations offer us, what the pro’s and con’s are of them and versus an ARG. Along with why they are indeed a form of useful gamification practice and a small example of how to put one together if you’re thinking of creating your own, either alone or in collaboration with professionals. Rather than going too in-depth and making your brain swimming with information, we will simply bullet point a list of what the pro’s and con’s are of ARG’s and then of what they are for role-play simulations. As you can see each has its advantages and each has its disadvantages. It does depend on which suits your situation and desired goals best. Let’s explore the role-play simulation a little further now that you know what its benefits and detriments are. As you now know, ARG’s can be great if you have the time and money for them. Unfortunately, most of us in education and business do not have those luxuries most of the time. So, it’s best to go with something that satisfies those needs but is a little bit more achievable. The overall value of a role-play simulation is that you are able to execute it over a short-term period, usually, it’s a single day event, two if you’re feeling generous. It effectively compresses learning into a time-pressured environment, much like real life. The lack of depth allows you to offer surface level tutorials for the theme chosen so that participants can get into the action quicker. And the time pressure adds the need for fast-hitting learning goals that fit with the whole just-in-time learning and on-demand learning that many of us experience every second of the day. This means that they are very effective for short learning programs that many business schools and educational institutions use nowadays. As we’ve seen, these types of programs precede the simulation with a few days of theory up-front and then end with a simulation tying everything together. In other words; gamification live-in-action. The meaning’s already in the word really, isn’t it? Simulation, simulating an experience, in this case gamifying an experience to make it meaningful for learning and enjoyable. Role-play simulations inherently have all the tenets of a game in it, so the definition or similarities are easily made. Simulations include game objectives or end-goals, usually something the teams of participants must work together to achieve. And, as I was recently questioned about, the end-goal is also the metric for the success of the day, for those that enjoying measuring experiences holistically. End-goals will also have a Win / Loss state. This is fairly obvious in that they either manage it or they don’t. If only a Win-state is present there isn’t really much incentive in my view. The Loss-state offers a consequence of not achieving the desired outcome, but also the added incentive in a team environment of not disappointing your fellow team-mates. Simulations also have challenges, obstacles that the participants must overcome, and for which they must use their newly learned skills from the week and for the theme of the day. These challenges often naturally increase difficulty as the day progresses, generally due to time pressures and the need for increased cooperation. And cooperation is also the bedrock of a feedback system, as working with a team and having facilitators around you offers a way to give and receive instant feedback. All of these aspects should create a motivating environment in what is a very compressed time-space experience. As the anticipation of seeing whether they achieve their end-goal or not will push them forward organically. It is very important though that in such a situation, such as a simulation that you do add consequences, as they are still very effective in a learning environment is utilized correctly. Consequences rally teams together, as individuals want to avoid being the weakest link usually. A consequence also creates competition, as people will want to beat the system, the facilitator or other teams if that’s the case. And consequences mean that there are rules and limitations which stimulate creativity and innovation to overcome. A simulation can be done with any theme really, personally, I’ve helped deliver one where the idea to create a news program and then perform a live 30-minute news set piece. I’ve developed and delivered one that centers around a shopping channel and participants must select and develop products in teams to deliver in a 20–30-minute shopping channel “episode”. Other ideas center around a murder mystery concept, a variety program, corporate crisis, social crisis like a terrorist attack, and so forth. The list is almost endless. For my example, I’ve decided to take a fairly straight-forward idea from my youth and that is the “drama” workshop or better known as a Recorded Stage Production. Goal: To deliver a successful stage production of a chosen dramatic piece. Participants can therefore perhaps choose from a pre-determined selection of theatrical pieces that last 30-minutes or a part of a piece that lasts 30-minutes. I suggest a pre-selection process as you will be able to determine how many people can feasibly take part so that there aren’t people left hanging around doing nothing because the group decided to go for a smaller easier choice. These are example challenges, there are many more, but the list would become too long. From those 5 points, you should get an idea of what people would need to go through during the day to be able to achieve the end-goal. The general idea is to take them out of their comfort zone and still apply the knowledge they gained in the previous days and the new knowledge and skills they’ve learned to achieve this. It should help develop what I like to call comfort-zone flexibility or elasticity, along with their inter-disciplinary skill awareness. And naturally, their creativity and innovation brain muscles, as they won’t have the budget for a real stage production. Naturally, there needs to be a win or loss, or reward and consequence. The win/reward is the achievement of having delivered the production on time and successfully. A pass if you want to be a traditionalist and educational about it. The loss/consequence is not being able to deliver on time or at all. This is a failure but should be used as a learning and reflection point, rather than the effort being ignored. As it’s only a simulation and should be a meaningful experience none the less. These are the basic points you would need to develop your own if you so wished. Naturally, there are many more things, such as the number of people needed, what learning objectives, equipment needed, space required, length of experience and so on. But hopefully, it gives you a basic idea of where to start. As you have seen a role-play simulation is an effective learning tool to bring together people, theory, concepts, contexts and many other things. As long as it is all done correctly. Only a well-designed simulation will bring across what you require it to. One way of figuring whether it is well-designed is by running a pilot of the idea. If everyone walks away bored, then it was a failure, if they all walk away happy but are not sure what they learned thanks to it, then it was a failure. If they all walk away happy and energized by what they learned and are able to apply it in their daily lives, then it was a success. Remember that it will be an enjoyable and challenging experience as long as you design it in such a way that it does have real consequences and believable outcomes. People are quite good at using knowledge if they are required to achieve a win and avoid a loss. It’s almost instinctual for us. I will say that the main problem you will come across though, and this neither a failure nor a success is that you will have a lack of immersion in the overall day due to the time pressure. But if the concept is solid then often the contextual explanation and delivery by you of the experience to the participants will dictate how successful the buy-in. So, practice those oratory skills. The final piece I’ll leave you with is that if you wish to achieve a “gold standard” level product with a role-play simulation, that can rival an ARG in time and monetary commitment, then there really only are a few differing factors. The immersion level, the narrative theme, the types of challenges, and most importantly; what do you want to achieve from it and do you want your participants to learn and leave with?